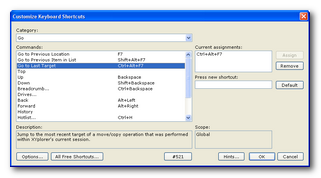 Personalized keyboard shortcuts are the key to maximized work efficiency. In XYplorer you can freely and easily assign any of hundreds of key combinations to hundreds of functions, including your own custom functions and scripts. Almost everything XYplorer can do, you can trigger it with one keystroke of your choice. 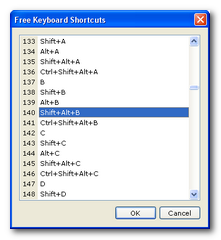 The Customize Keyboard Shortcuts dialog closely follows common standards for such interfaces in Windows applications, so you'll immediately find your way. 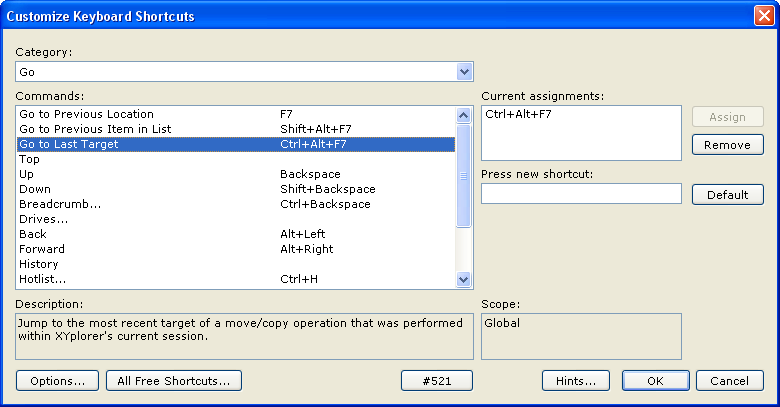 With some useful additions: There's a short descriptive text for each function, and you can create a "cheat sheet" of all current shortcuts and commands in various layouts. The "All Free Shortcuts..." button pops a list with all key combinations that are currently unused, making it easy to locate and select a memorable one. 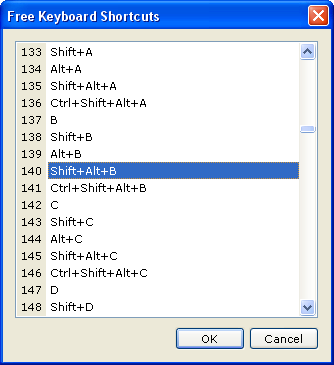 The shortcuts are saved in a small binary file called ks.dat that you can travel with. This page has been written 2008-02-27. The screenshots don’t reflect the current look of the application. Some of the functionality might have been changed or enhanced in the current version.